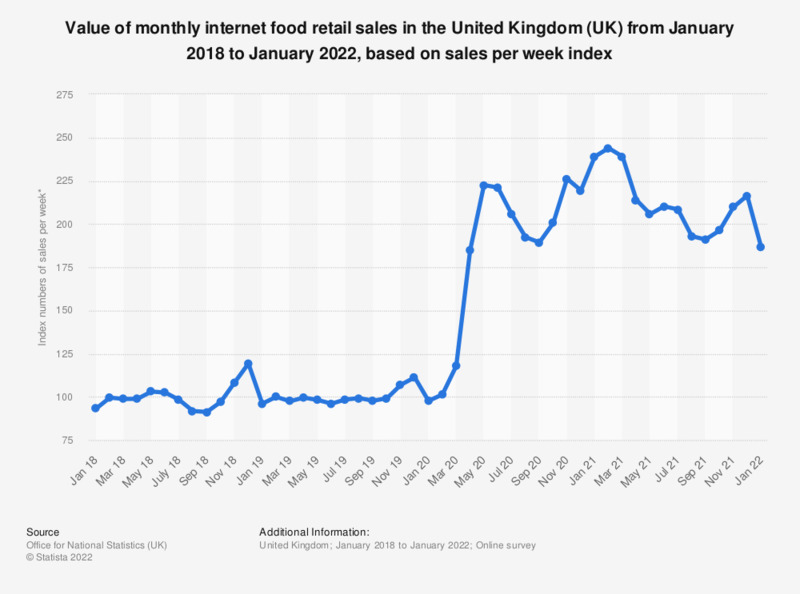 This statistic displays the monthly index of internet food sales value in the United Kingdom (UK) from January 2013 to June 2017. In June 2017, the index was 148.5. * Value is seasonally adjusted. Value at current prices. Includes "predominantly food stores."